Top off milkshakes and ice cream sundaes with the world's top-selling cookie! This Nabisco whole Oreo cookies 5 oz. sleeve combines embossed, chocolate-flavored wafers with rich, creme filling to provide guests with a traditional, Oreo flavor and aroma. Each sleeve comes with approximately 12 to 15 full Oreos that can be left whole to decorate ice cream cakes, broken up to sprinkle on gourmet donuts, or mixed into a cheesecake recipe for a signature treat. Keep these Oreos on hand in your kitchen or at dessert buffet stations to add a familiar, delectable cookie and creme taste and crunch to any treat. You can also use them to expand your menu selections by offering profitable Oreo flavored pies and dessert bars. No matter what you're creating, the whole Oreo cookies are sure to be a popular hit in any bakery, restaurant, or ice cream shop. 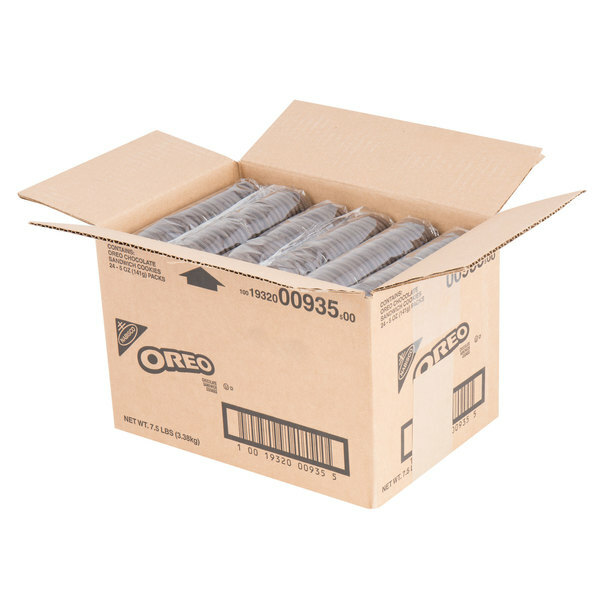 Bulk orders of Oreos are wonderful. I love that you are able to get a lot of Oreos for a great price. I highly recommend this product. 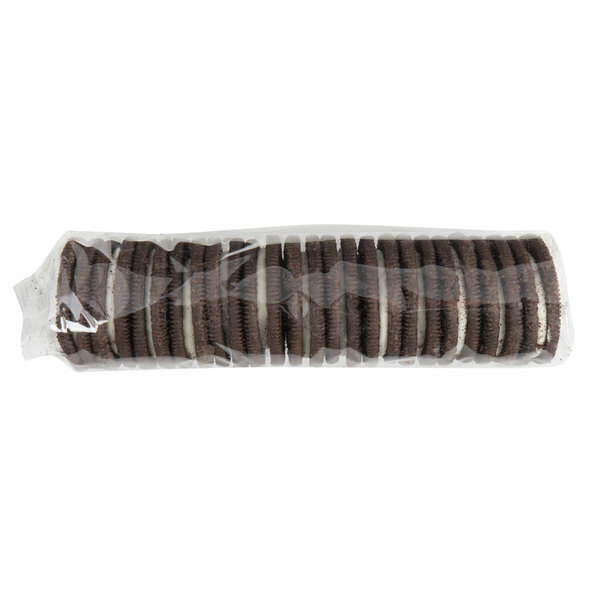 Great, fresh oreos in sleeves that are excellent for our specialty baked goods. 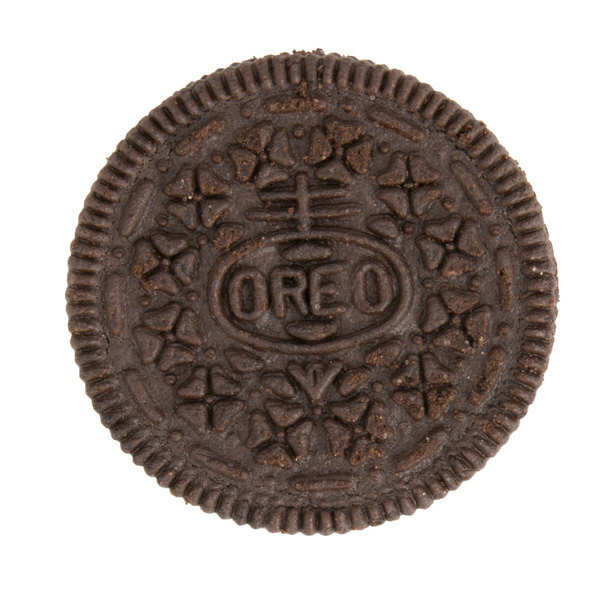 The oreos are great for our oreo cheesecake and makes a great garnishing cookie. I use oreos in cupcakes, brownies and frostings. I also dip them in chocolate and decorate them with fun designs. I love that these are packed in a sleeve so i can use just what I need for each project. Nice sleeves of our favorite sandwich cookie. 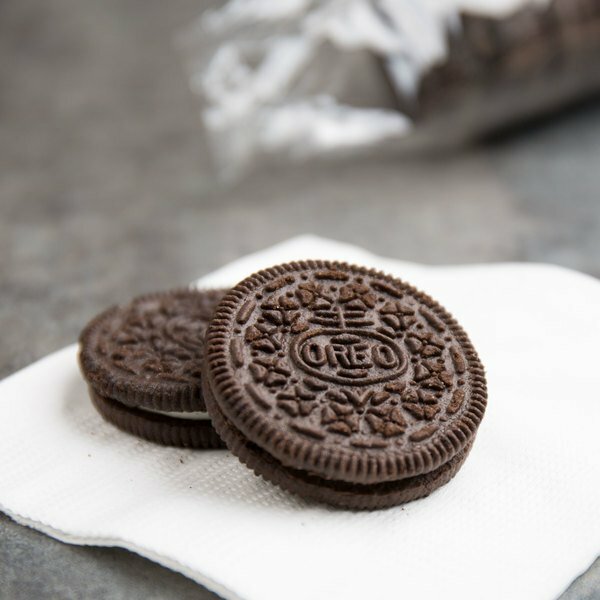 The Nabisco oreo cookies are perfect for baking, snacking, or any other use. They are fresh and taste great. The whole Oreo cookie sleeves are perfect for our daycare. The sleeves are great for storing and also keeps the cookies fresh. The kids love them. These are such versatile cookies. They’re great to eat on their own of course but they also make a wonderful topping on ice cream and make for nice fillers in other desserts. I like buying them whole because you have the option to eat them plain or crush them to use as a topping. Nabisco Whole Oreo Cookies are delicious, no matter how you serve them. They're great add-ins for ice creams and shakes. They're also terrific as a topping for cheesecake, cakes, cupcakes, brownies -- the list goes on and on. Wherever your creative baking imagination can take you, oreos can come along. I highly recommend this product. Oreos are loved by everyone. Buying them in Bulk makes this sweet treat economical. And, the cookies themselves are so versatile. You can use them as a snack on their own, or you can crush or crumble them for use as an ice cream topping or add-in, in milk shakes, or as a deliciously sweet addition to any number of desserts. You can't go wrong with Oreos. Nabisco Oreos are loved by adults and children alike. Buying in bulk saves money and time. These tasty treats can be left whole or they can be crushed or broken to use as toppings for sundaes or milk shakes. Any way you serve them, they'll be a hit. A true Oreo! We use these as ice cream toppings, and also food process these down to "oreo dust." This is a great price compared to other vendors out there. They come packaged in clear sleeves. These are great oreos. We love to eat them of course, but I also love using them to make the hats on my frosty cake pops. The Nabisco oreos are a great product and the taste is so good. The oreos are perfect for creating our oreo balls and always arrive fresh and delicious. Love Oreo cookies and the sleeves are great for our usage. We love making oreo truffle balls and these are easy to open and use.